March 21, 2019 (Atlanta, GA) – Ronald G. Polly, Jr. was recently elected to the A.G. Rhodes Health & Rehab Board of Trustees. A.G. Rhodes is one of Atlanta’s oldest nonprofits and a leader in senior care, providing therapy and rehabilitation services, short-term recovery and long-term care. The Board of Trustees helps promote, support and further the charitable mission of A.G. Rhodes. Trustees manage the affairs of the corporation by overseeing business and operating plans, budgets and capital expenditures. In addition, this board oversees the management company and the Board of Advisors. Polly is a senior partner and chairs the labor and employment group at Hawkins Parnell & Young. 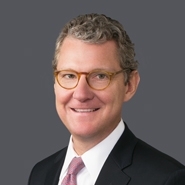 His practice is national in scope, serving as outside general counsel and employment counsel to companies ranging from Fortune 500 to small private entities and public employers.